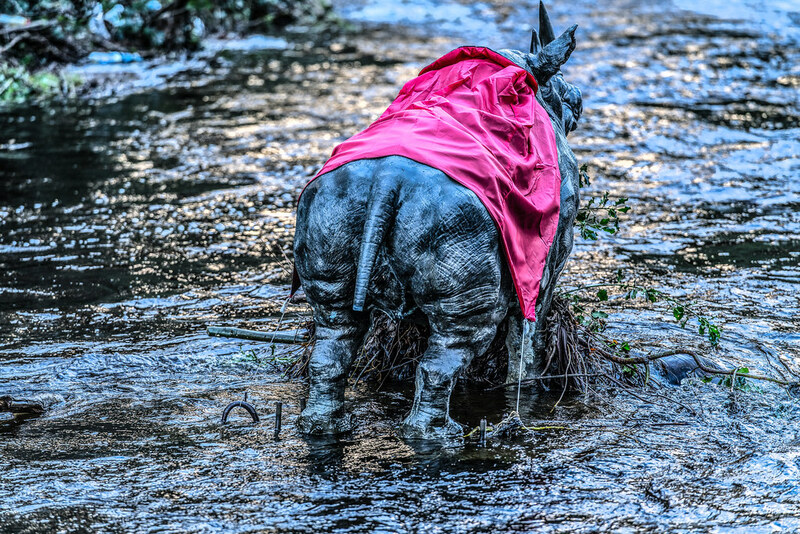 In 2002 a bronze sculpture of a life-size Rhino appeared overnight in the River Dodder near the bridge at Milltown. The bridge is Classon's Bridge which takes its name from John Classon, the owner of a mill, who built the bridge in order to aid his business which was located on the left bank of the river, now the location of the well known Dublin pub, The Dropping Well. 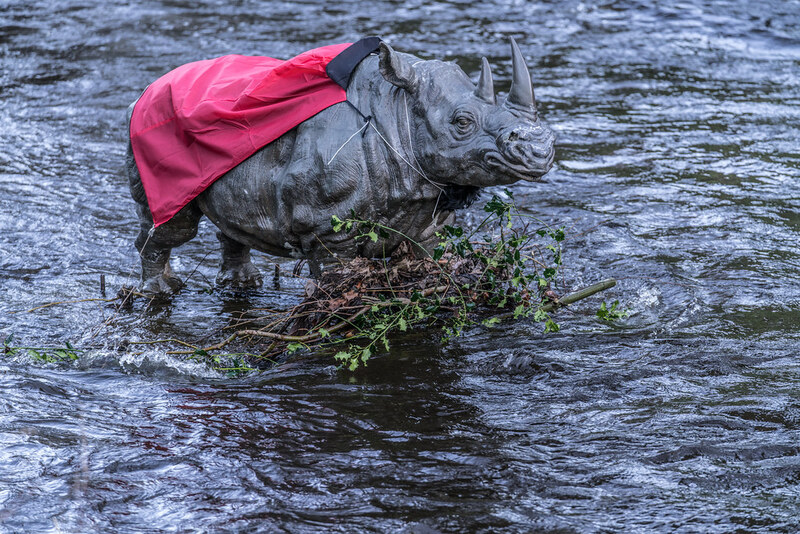 No one has claimed responsibility for the bronze rhino, which still stands midstream and while the pub has always denied any links with the Rhino they did organised a competition to find a name for the lonely animal. 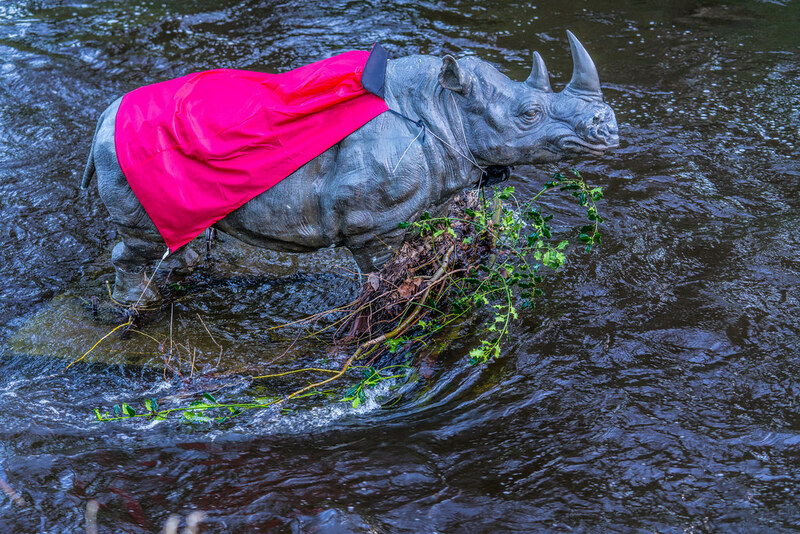 I did hear that the rhino is now known as Woody [I could be wrong].